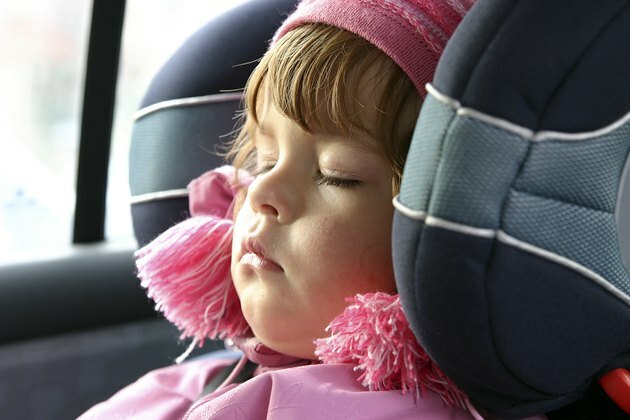 Most parents have accepted the necessity of placing small children in approved car seats. 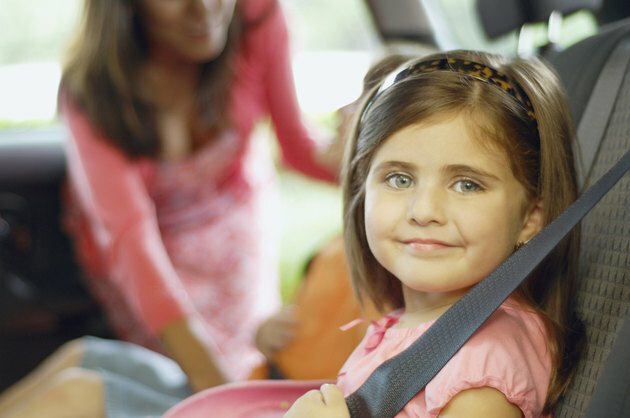 Once children reach 40 pounds, however, many parents want to ditch the space consuming -- but ultimately safe car seat -- and strap a child directly into an adult seat belt. Most state laws today mandate that children graduate from car seats to boosters, which elevate a child so that the shoulder strap and lap belt fit properly. Boosters can consist of a simple seat or can also incorporate a back and head rest. Regular boosters are a simple chair that raises a child up off the car seat. Boosters with backs resemble regular infant car seats, but they often don’t tilt and don’t usually have harness type restraints. 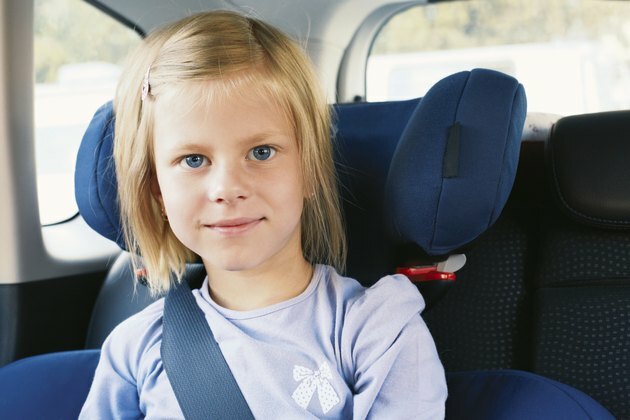 The regular adult seat belt is pulled across the child and fastened normally. Any type of booster raises the child up so that the lap belt rides across the pelvis rather than the abdomen and the shoulder belt doesn’t dig into the neck. Seats with backs also afford additional protection to the neck and head. Boosters with backs also provide more comfort and safety for a sleeping child who won't be able to slump down in the booster that has back and neck support. Children in backless boosters must be able to sit straight without slumping; if the child can’t or won’t do this, a booster with a back is best. The benefit of backless boosters is ease of removal for use between cars, plus they may take up slightly less room in the car. Backless boosters may also cost slightly less. Backless boosters should only be used if the seat has headrests or if the back of the seat is high enough to support the head. 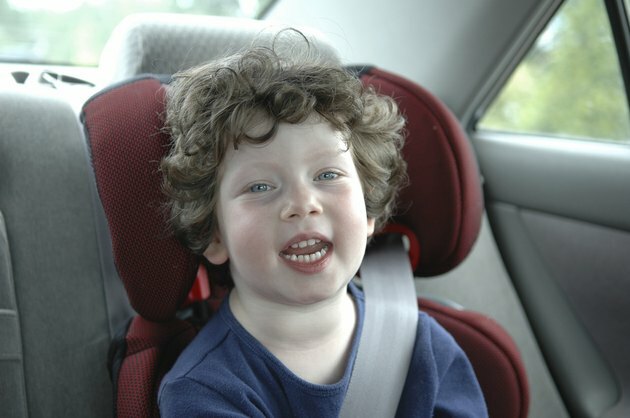 Neither a high-backed booster nor a regular booster seat should be used with just a lap belt, since the lap belt doesn’t keep a child’s head, neck and back from whipping forward in a crash. Some boosters with backs have high sides or wings that hold the belt too far from the child, allowing them to possibly slip under the belt in a car accident. A plastic belt guide attached to the backrest could also prevent the belt from retracting properly if it's too tight. 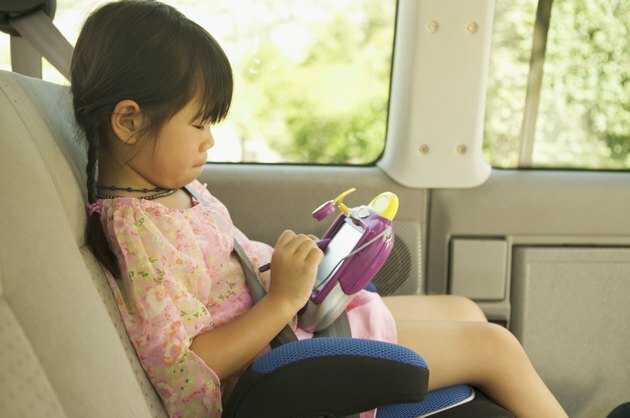 Children shouldn't use booster seats of either type until they reach the height of 4 feet, 9 inches tall, which normally occurs between the ages of eight and twelve, according to HealthyChildren.org., the official website of the American Academy of Pediatrics states. Adult lap and shoulder belts do not fit properly until a child reaches this height and weighs about 80 pounds. Children’s legs should also be long enough to bend at the knees at the edge of the seat before wearing a belt without either type of booster. 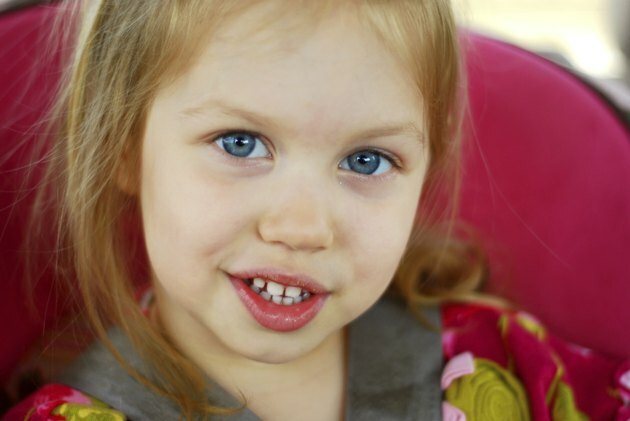 Carseat.org: What is a Booster Seat?